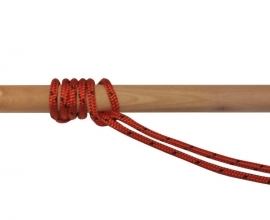 The Highwayman’s Hitch is a quick release knot to secure a line around a pole or similar object. It can be untied with a tuck on the working end. 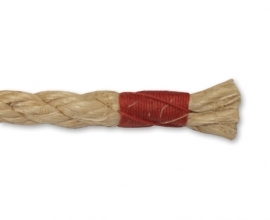 Supposedly, this was a popular knot among thieves, brigands and robbers alike who used it to tie off the rains of their horse, ensuring a swift escape. 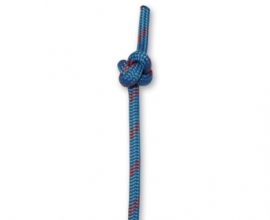 These days it can be used as a temporary quick-release mooring hitch, especially useful for solo sailors. 1. Create a bight in your line, leaving a fairly long working end (in our case, the working end lies to the left). Pass the bight underneath the pole. 2. Make another bight in your standing end and pass it through the first bight, front to back. 3. Pull on the working end to secure the second bight. 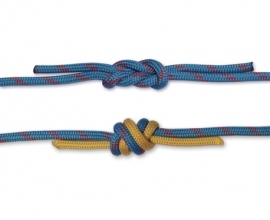 Create a third bight in the working end and tuck it through the second bight, front to back. 4. To dress the knot, pull firmly on the standing end to lock your Highwayman’s Hitch in place.